The exhibition season in Dubai has started and now events and exhibitions of international level are organizing one by one in Dubai. In the coming days, several such events will be organized in order to progress business opportunities in Dubai and also help local and international brands to introduce their products to consumers from different parts of the world. In one such event, jewelers from all around the world will gather in Dubai to showcase their products to local Emirati people and also the tourists that arrive in large number in Dubai in the season. The Dubai International Jewelry Show 2017 is going to start from 15th of November 2017. The event will last for four days and it will run till 18th November 2017. The Dubai International Jewelry Show is an annual event and the current event is the 21st such event. 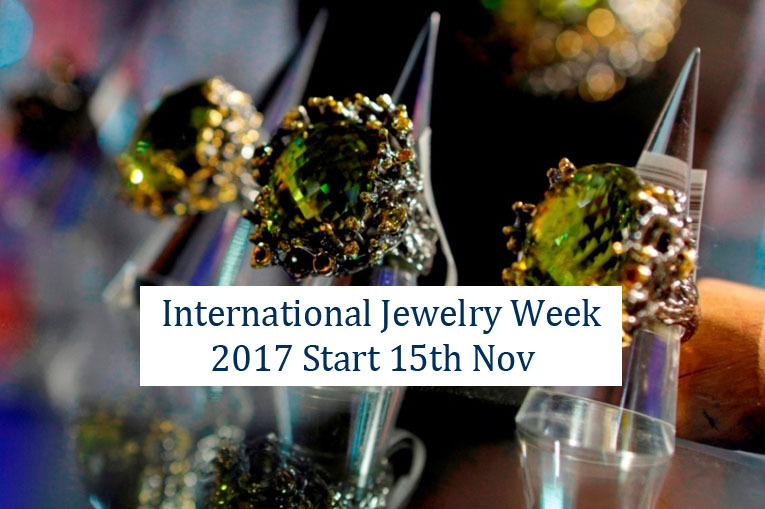 World’s finest jewelers are participating in this upcoming event that will present more than 400 collections from around 35 countries. There will be lot of shinning and glittering in the event that will be attended by manufacturers, distributors, retailers etc. Gold, diamonds, gemstones, pearls, watches and other items will be presented in the jewelry show. The main attraction and features of this jewelry include celebrity meet, Arab fashion, Indian jewelry, cat walks, discussions, meetings with influencers, fashion talk, fashion forum and others. Apart from that, daily seminars and workshops will be held where potential buyers can directly meet jewelers. During the event, a specific element will be reserved solely for trade visitors and professional buyers. This upcoming Dubai International Jewelry Show 2017 is one of many exhibitions that will be held in the current and coming months from November 2017 to April 2018. All these events and exhibitions will provide immense opportunities from businesses around the world. We will provide details of other upcoming events also. If you are interested as a businessman to become part of such exhibitions, then you can contact Riz & Mona Consultancy to get complete information and assistance for presenting your products and services in front of clients from all around the world. You can also talk to us via our landline # 971-4-5586339. I am also visiting this site on a regular basis, this website is truly fastidious and the writers are actually sharing fastidious thoughts. I go to see everyday a few web pages and websites to read articles or reviews. I found this the best and most informative website for business articles.